Kids Come First is a registered Community Interest Company established to provide specialist support and training to separating or divorcing parents. As our name suggests, our mission is to focus primarily on the needs of children experiencing the family breakdown process. What lies at the heart of Kids Come First is the principle and belief that by helping parents cope well during this difficult, emotional time – indirectly, we help children cope better too! Parents who attend our workshops not only benefit from specialist support but also our unique, customised, child-focused training program. With our practical guidance parents discover how to work successfully towards co-parenting beyond the divorce process. Founders of Kids Come First, Steph Fattorini and Nicola Withycombe, worked alongside parents at various family mediation services for many years and were responsible for delivering a Cafcass training program to parents directed by the Family Courts. Listening to the voices of many brave children and distressed parents struggling to deal with family breakdown issues, it became all too clear that there was a desperate lack of therapeutic support readily accessible to separating parents and too few early intervention options available before the situation reached a hostile impasse. So in 2015 we set about writing our parenting training program and making a difference for families. Nicola is a professional adult trainer who spent several years working at a family mediation service and working with separated parents since 2010. She is currently completing her accreditation as a civil & commercial mediator. Her previous roles in global marketing & general management include an EU higher education program & editor of a charity publication. She manages all aspects of the Kids Come First C.I.C. day-to-day business. 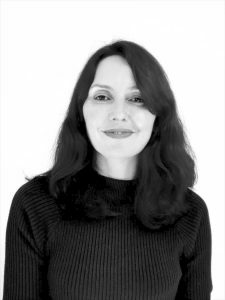 Steph is an accredited BACP therapist who works with children, adolescents, parents, adults and couples at her private practice in SW London. She has worked with children since 2005 and has extensive experience working in a Mediation Centre dealing with parents who are separating & divorcing. 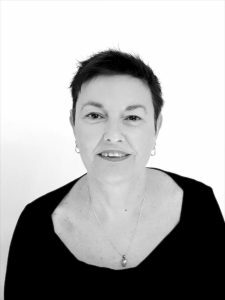 Providing a calm, safe and empathic space, she seeks to increase all her clients self-awareness & self esteem, boosting confidence and helping them understand past influences.